Surprisingly, this may be you! If you operate in an EU member state and your disposable earphone supplier is not in the same member state, then according to Directive 2012/19/EU you are the producer of the earphones. 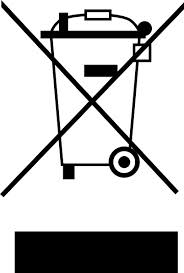 Directive 2012/19/EU is the so called WEEE directive and stands for Waste Electric Electronic Equipment. You may never have heard of this, but it gives you certain obligations and non-compliance incurs fines of up to €100.000 in some EU member states. By the way, Norway, Iceland and Liechtenstein (EEA EFTA States), adhere to the same principles. But I don’t manufacture anything! MSupport International BV has registered as a producer for WEEE in many EU member states and can take over your obligations. Since our ear-and headphones are also fully CE compliant, in many EU member states we can offer our customers a trouble free supply. Please contact us on +31 481 454664 or info@bits4tours.com if you want more information on the WEEE Directive or our possibilities in your country.